One of the essential services that a good car locksmith- or any locksmith, for that matter- should provide is a reliable and prompt key cutting or repair service. Proper key cutting is a service that requires knowledge of the materials, machinery, and duplication tools. When car lockout occurs, many find that the pressing issue is getting a duplicate or replacement key made, as they are stranded on the side of the road. For the expert automotive locksmiths we work with this isn’t an obstacle at all, as they provide 24-hour mobile locksmith key cutting services to all of Cincinnati. Each of their trucks or vans is equipped with mechanical key cutting tools as well as laser key cutting and transponder key programming tools. There are many different variations on the generic car key these days, most of which were specifically developed in a desire to perfect the passive security systems in cars. As cars have risen in value, so has the threat of theft. Therefore, manufacturers developed many innovations such as laser cut keys, sidewinders, and transponder keys. It is important that locksmiths keep up with these developments so that they can provide key cutting for all who are in need of it, thereby preventing damage caused by attempts at self-help. 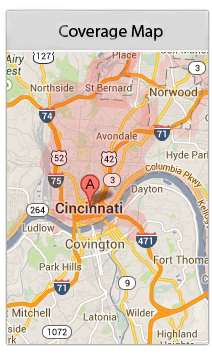 Here at Cincinnati Locksmith, we have done our best to keep abreast of the continued developments. From mechanical cutting to transponder key programming, the locksmiths we cooperate with have specialized in these techniques for years. Additionally, these technicians are trained in the skills required for quality lock repair and can help restore functionality to a lock. There are two main mechanisms for basic key cutting: Mechanical vise cutters and punch cutters. Mechanical vice key cutting machines hold in place two keys, with one key having the proper notches and the other key blank. The notched key is a guide and the blank key is run tightly against a wheel to cut it. The other technique- using punch cutters- requires a higher level of skill, as each notch is cut individually and to precise depths. These keys are cleaner and do not wear with use as quickly. Our technicians have been trained in these specialties and are capable of duplicating or replacing any lost key. Additionally, the techs we work with can assist with programming transponder keys if one is lost or broken. This is a process that simply requires syncing a new key with the computer in your car. Cincinnati Locksmith is proud of our expertise in key cutting and repair, and we hope to be your first choice for mobile locksmith services.